With over 20 years of experience in the Arboriculture industry, Gill Tree Care provides you with progressive solutions to help maintain and protect our local urban canopy. Known for our safe, reliable and sustainable work practices, we are excited to work with your part of the canopy! 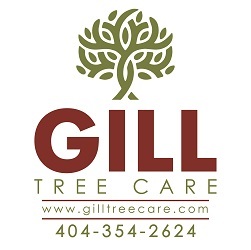 Gill Tree Care utilizes modern standards, techniques and equipment for dead tree, sick tree, dangerous tree removal, fallen tree, hazard tree, tree trimming, tree pruning, tree planting, tree cabling and bracing issues. We are committed to providing you with a safe, quality, environmentally sustainable and responsible solution to maintain our urban canopy coverage. We do this by working directly with local urban saw mills and furniture makers to recycle and repurpose part of our urban forest into history.